When my son was born, we barely waited for him to sit upright and put him in a feeding chair and honestly I don’t regret it. It’s the most convenient and hassle free method to feed your child with less spillage and more food going inside. Well, in my case it was also my OCD to not ruin my fancy collection of table linen so the idea worked very well. 😉 But jokes aside I observed that by putting him in his own chair, he developed a sense of belonging to not just eating his food but also by eating it himself. 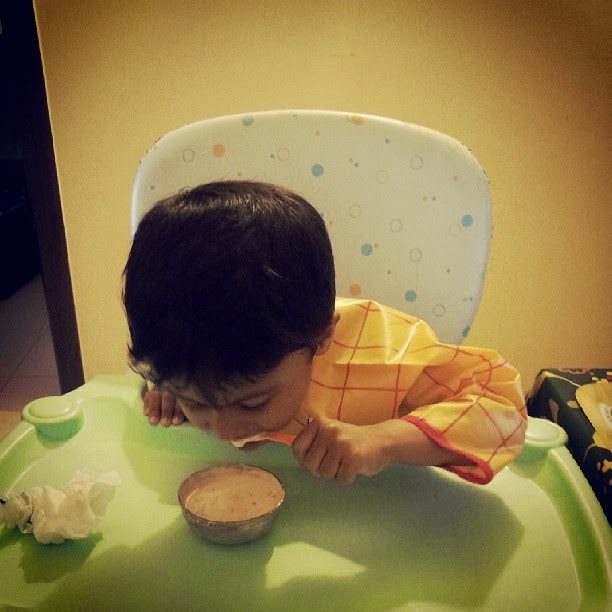 His hand and mouth coordination developed pretty early and he enjoyed his meals. 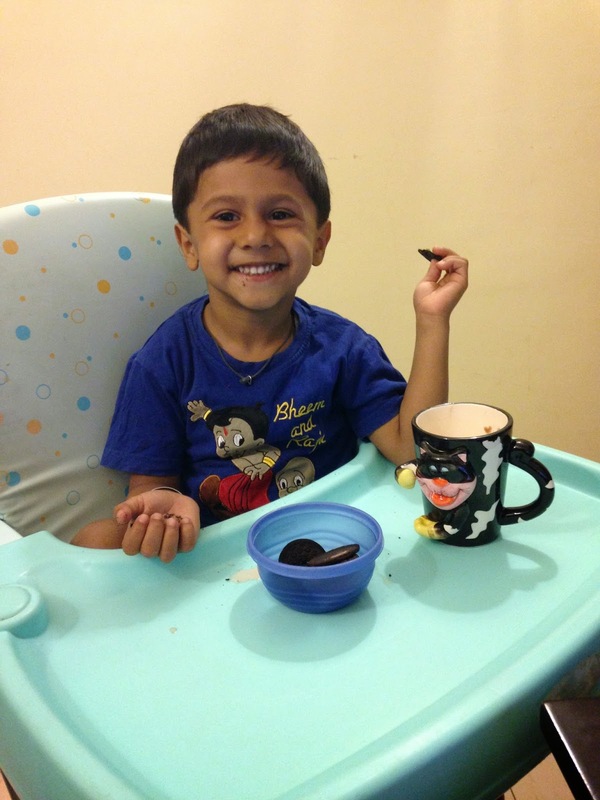 Try and initiate table talk with your child before you put them on the chair. Without talking to them they might not like the idea of being strapped in a chair and being made to eat, especially if like most toddlers meals are a problem. In my case my son was not fussy about food, he ate whatever I made for him, however being constricted was a big thing for him, considering he refused to be swaddled as a new born. Lollzzz. Safe and Fun Chair – As important is safety and a sturdy chair with straps as little babies are still finding their feet, literally also opt for a chair which is bright and colourful. This will get their interest and curiosity going to explore it and will sit more readily. Chicco, Mothercare has some great options. Functionality – As much fun as it to let your baby eat by themselves, it is also a task to clean and maintain a high chair. Pick a chair with a removable plastic top so that it can be removed and washed easily. A good grade plastic back and body also aids in wiping off clean whenever necessary. Crockery and Cutlery – Again try and pick out designs which your baby can relate to. Perhaps their favourite cartoon character or favourite toy. Again, baby brands offer a wide range of interesting stuff. Even their cutlery can be picked up age wise which will help in forming a better and strong grip. Bibs – This was a huge task as my baby didn’t like being restrained, experts suggest to avoid tie up bibs as they pose choking hazards, however the Velcro ones were of no use to me. A Messy Affair – This is my favourite part. And exhausting later on. However, to inculcate independence you have to allow your child to eat by themselves and put on a smile even if you feel like crying looking at the mess. Lollzzz.. I used to constantly monitor my baby whilst he ate. In fact I started eating my meals with him which I do till date. This made it a more enjoyable routine and something we did together every day. Please remember to Never Ever leave your baby unattended in a high chair; they are at a huge risk of falling headlong and hurting themselves. Even if they are strapped up, ensure you are around and you are watching over them. These little things are smart and quick to learn to unstrap themselves without us realizing it. Share your Table Stories with us.